It’s one of my favorite because it’s honest and speaks of what goes wrong when implementing development projects, and points out a number of critical grassroots issues that aid workers face at the local level. The article also draws attention to some troubling trends in global development, such as the problem of the ‘village elite’, ‘elite capture’ and the issue of ‘participation’ in development. In most development projects the success or failure of an intervention program is largely dependent on how well one understands a community’s behavior and the planning or design processes of the project you intend implementing. Unfortunately, pertinent decisions such as the location of the project, who to access and how many people to target continue to be made at ‘top-level’ meetings instead of in consultation with the communities we aim to support. This usually comes about because of tight deadlines around proposal submissions and/or budget constraints on the part of the organizations. More emphasis is usually placed on winning the grant rather than assessing the efficiency, effectiveness and impact of the particular intervention on the target communities. Once the grant is secured we in ‘the field’ are tasked with implementing the project. If it’s an advocacy project, we usually focus on ‘theory of change’ which largely entails continuous training and monitoring as opposed to direct service delivery. The ‘beneficiaries’ usually know very little about our work but are excited to be the targeted community of our intervention. The initial training sessions can take up to four days, starting early in the morning and ending late at night. Of course, we buy lots of stationery which we distribute to our community whilst being fully aware that most of the recipients cannot read or write. However, we just don’t pay much attention to that aspect. Instead we hand out pens and copies of the training agenda, and hang our fancy banners – with our donors’ logos and our logos on them – on the walls hoping the participants will notice them and that somehow the community will appreciate our donors having seen the logos. We then bring in a ‘technical consultant’ or a facilitator to train the community members for hours on end with a minimum number of breaks for tea and lunch. Most participants seem to be bored by the training regime, or they see it a waste of time – firstly, because they can’t connect it to their daily lives and, secondly, because it all seems too theoretical. For decades now most local communities have become used to projects that show immediate results, such as aid workers constructing boreholes, toilets and schools for them. However, the shift from this myopic view of project management to longer term development results that use results-based management has seen an increase in advocacy projects. This paradigm shift places greater emphasis on addressing the root causes of poverty as opposed to only providing relief food. 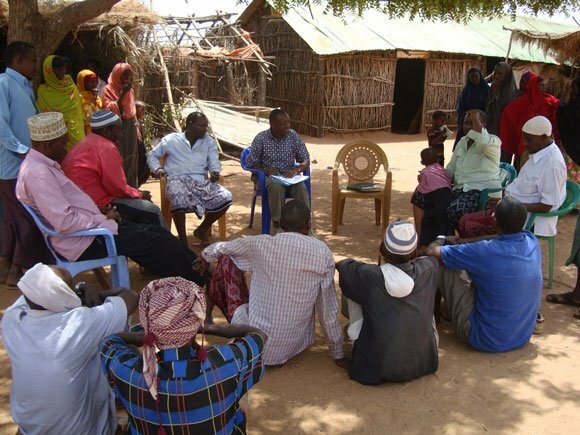 Importantly, it endeavors to see the community as equals and engages with them to have their say in development through participatory processes. It places community ownership at the heart of development. Furthermore, it envisions an advocacy process that ‘advocates with’ the community as opposed to ‘advocate for’ or ‘advocating on behalf of’ the community. The thinking behind this shift in development practice is quite brilliant as it has a greater potential for lifting more people out of poverty and closing the ever widening poverty gap. Unfortunately, community understanding and reception of this development shift has so far not been very positive. This is due mainly to the fact that most advocacy projects build capacity through a greater focus on training and dialogue processes – ‘software’ intensive – as opposed to the more popular focus on ‘hardware’ processes of the past. 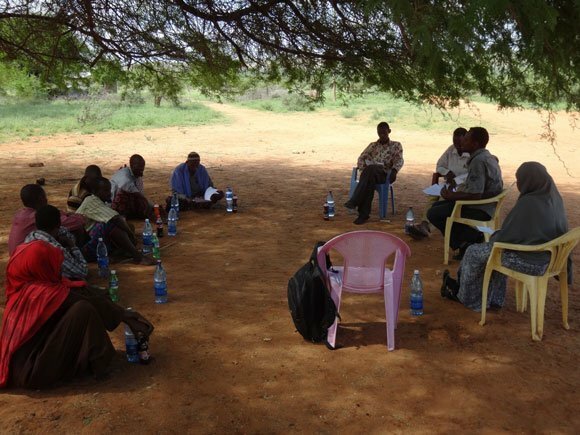 In one particular community in northern Kenya, I was to implement an advocacy project on water management. The biggest challenge I faced was how to train a farmer on water management when he lacked water on his farm because he lives in a semi-arid region. Or, how is one supposed to train a group of women on how they best to utilize water in their homes when they tell me their children at home are thirsty, so they have to walk more than 30 kilometers to fetch water. In my opinion, I did not feel like the project was making any tangible impact because we were not addressing the direct need – which was water scarcity – and, as a result, we were not looking for sustainable ways to ensure that this particular community has access to water. In the training sessions which I conducted there was usually very little interest among participants from the community for software projects. In fact, I found that as the day progressed, the participants would, one by one, excuse themselves from the training sessions: for example, mothers would say they had to take their children to the hospital whilst someone else would insist he had to take his camels to graze. Being the liberal project manager I am I feel they have a right to leave. However, I have found that if I continue being lenient all the participants end up asking to be excused. I try therefore to find a happy medium. Meanwhile, one of my colleagues believes in being strict when conducting training, so he usually locks the door and keeps the participants inside – only allowing them short breaks. He even instructs them to switch off their mobile phones. I don’t agree with his approach to training. However, my colleague says we are giving the participants money to attend the training sessions so they should ‘listen and learn’. No matter how engaging or uncomplicated I have tried to make the training sessions – even adding visuals and pictures – the participants still find it difficult to relate to the topics of discussion (water policy, for example). They only seem to be interested in proceedings at the end of the day when I hand out a small ‘sitting allowance’ to each one, and they can go and buy a few groceries for their families on their way home. From my experience, participants only attended the training sessions because they were being paid to attend, not because they were learning something, while field officers were only interested in claiming they had successfully completed the training. On the other hand, community members have never shown any difficulty understanding more tangible projects, such as the building of a school in the area. Community members are definitely more receptive to these kinds of projects and go out of their way to support you in achieving your intended goal. However, advocacy projects are not that visible because they’re all about changing perceptions and the behavior of a community with regard to a particular issue. Chances are the community will not appreciate what you’re trying to achieve, simply because they don’t see any immediate results. My experiences have therefore led to me questioning the effectiveness of promoting community empowerment through training, and whether pure advocacy projects can ever achieve the intended impact in a rural village setting. Unfortunately, this is the reality I have faced as a development worker in ‘the field’: beneficiaries who only care about receiving money, and development workers who only think about taking photos and writing fancy reports to donors on how successful the training was while it clearly wasn’t.